Last weekend saw Australia’s national quidditch champion crowned for the 4th time at QUAFL 2014, held at Macquarie University in Sydney, NSW. September’s Triwizard Tournament was the biggest yet, with four games per team totalling a magnificent aggregate of eighteen matches for the day, from which UNSW and the Unspeakables stood out as the main stories. 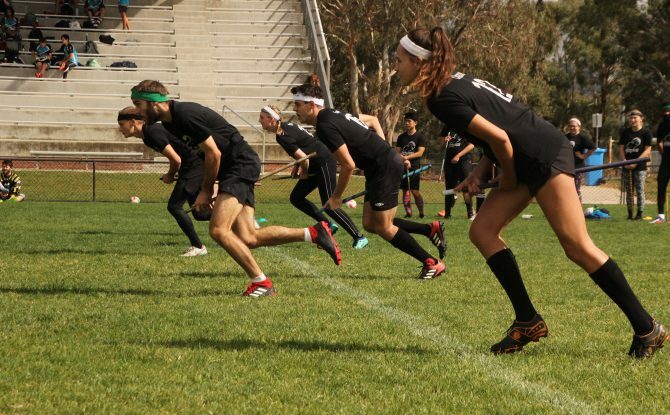 For August 2014, the Triwizard train converged on the sports fields of Macquarie University, just as we had at the same stage last year. 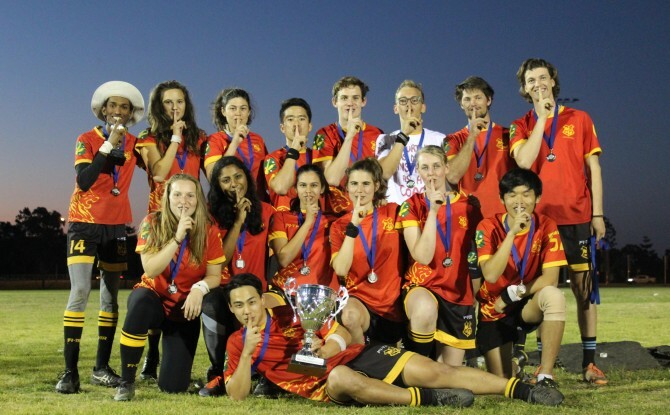 The third annual Midwinter Cup has seen the crowning of a third new champion, with UNSW’s accomplished Snapes On A Plane finally adding a Midwinter title to their two QUAFL crowns. Melbourne MudBash is upon us again. Is it time for Victoria to see a new champion come to light? Or will there be too much mud to tell? 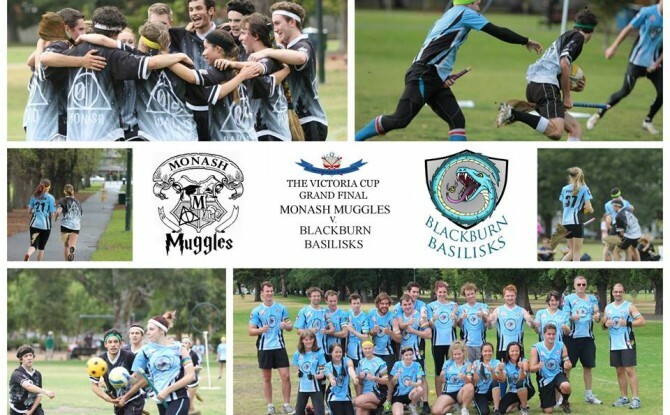 The Victorian Quidditch Association’s season championships, The Victoria Cup, will reach a climactic end this coming Sunday as the Blackburn Basilisks Quidditch Club takes on the Monash Muggles, to crown a new champion. 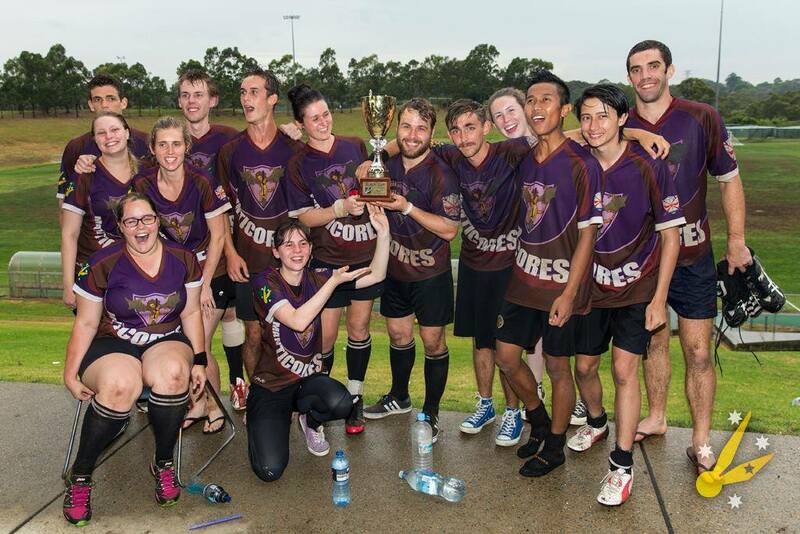 Two years ago, four local Sydney teams congregated on campus at UNSW to play six games of quidditch and a tradition was born.